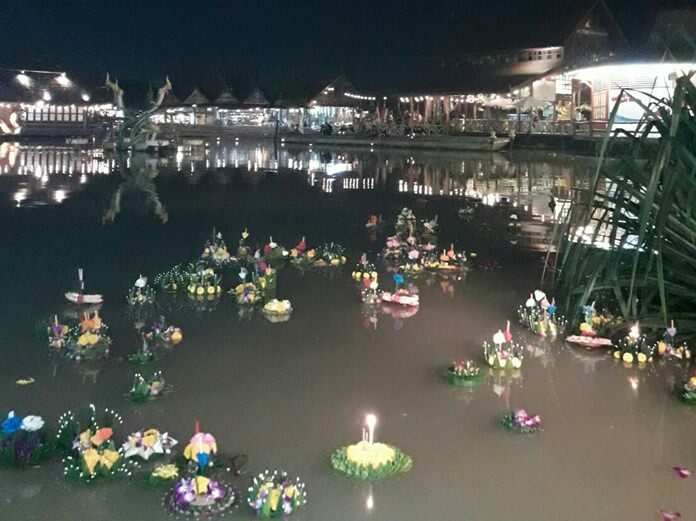 With the entire Kingdom in mourning, official regularly scheduled Loy Krathong events were cancelled, but many people were able to participate privately. Given the weight of the circumstances, however, most did so with proper restraints. 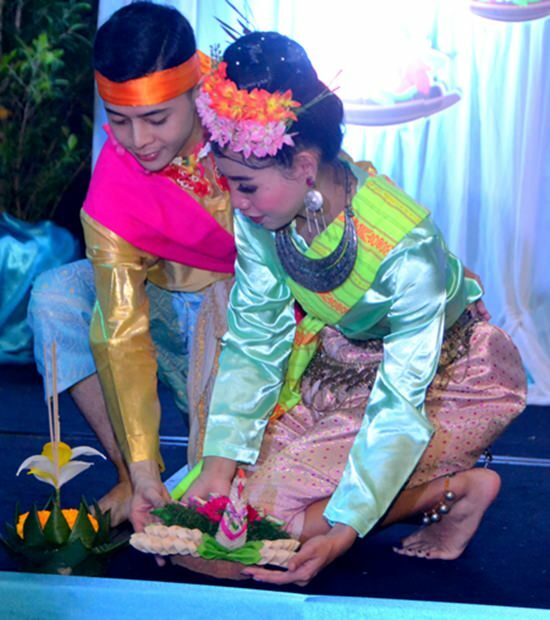 This year Loy Krathong, the most romantic night on the Thai calendar, fell on Monday, November 14. 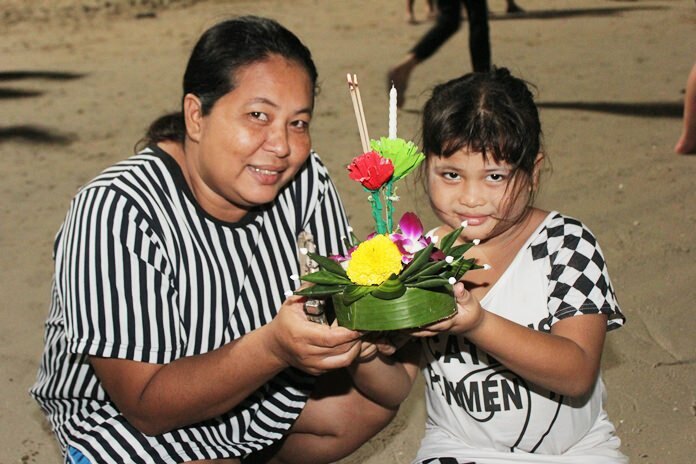 With the entire Kingdom in mourning, official regularly scheduled Loy Krathong events were cancelled, but many people were able to participate privately. Given the weight of the circumstances, however, most did so with proper restraints. 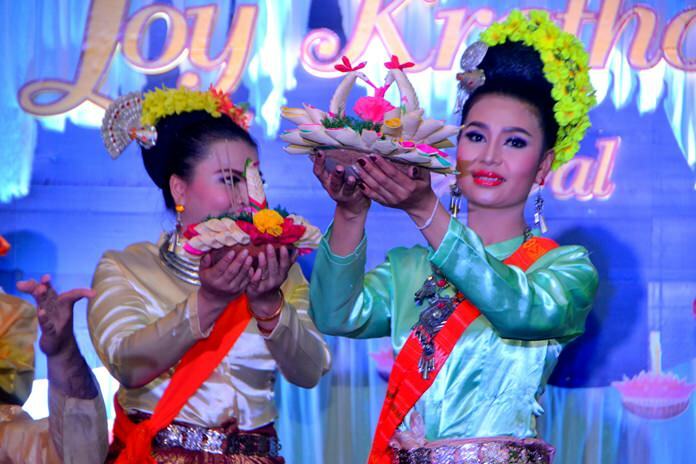 This year Loy Krathong, the most romantic night on the Thai calendar, fell on Monday, November 14. Either by coincidence or holy / royal intervention, this year’s full moon was a “Super Moon”, a designation given to the phenomenon when the moon and earth’s orbits are closest. Monday’s super moon was the biggest in recent memory, with the moon looking at least 14% larger than normal. 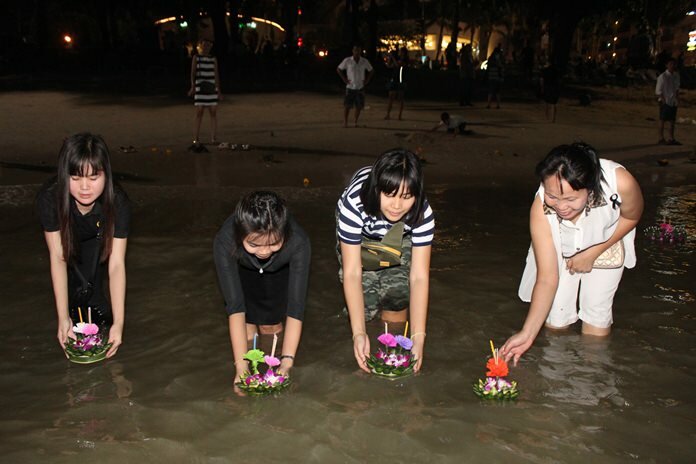 Local beaches and waterways were less crowded this year than last, with people wearing black whilst floating their krathongs. 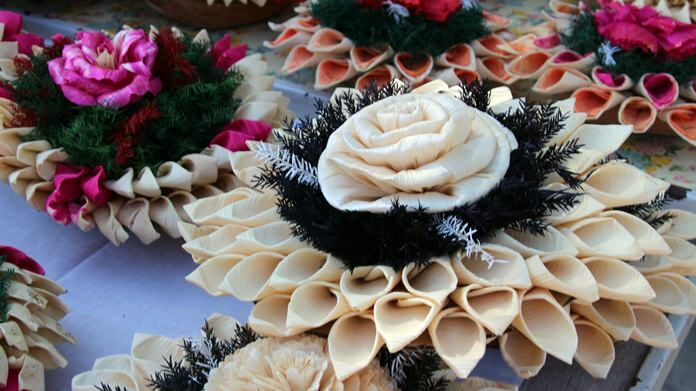 Most observed the government’s wishes to use biodegradable materials. 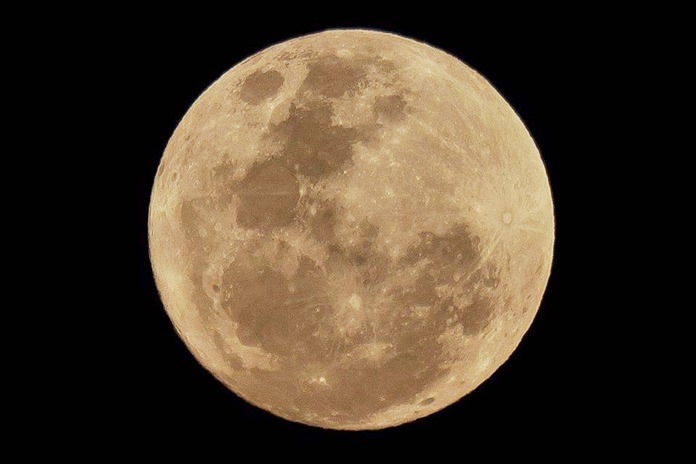 Either by coincidence or holy / royal intervention, this year’s full moon was a “Super Moon”, a designation given to the phenomenon when the moon and earth’s orbits are closest. Monday’s super moon was the biggest in recent memory, with the moon looking at least 14% larger than normal. 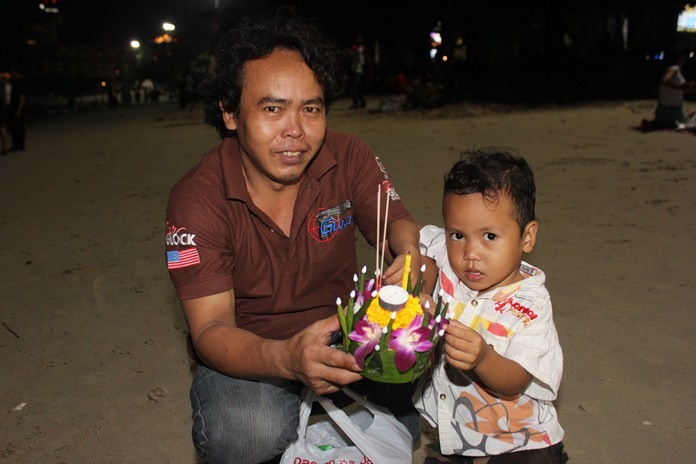 Krathong sales also were down, as some people opted to create their own. Some used black and white material to keep with the mourning period. 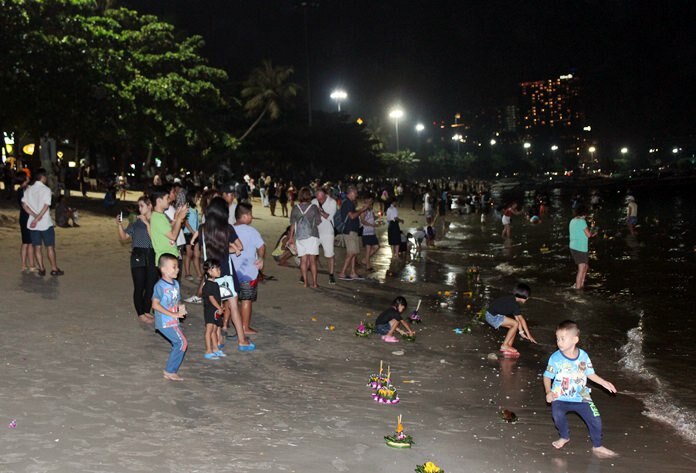 Fireworks were banned; anyone caught in action would face up to 10,000 baht in fines and up to three years jail time, but nobody was caught doing so. 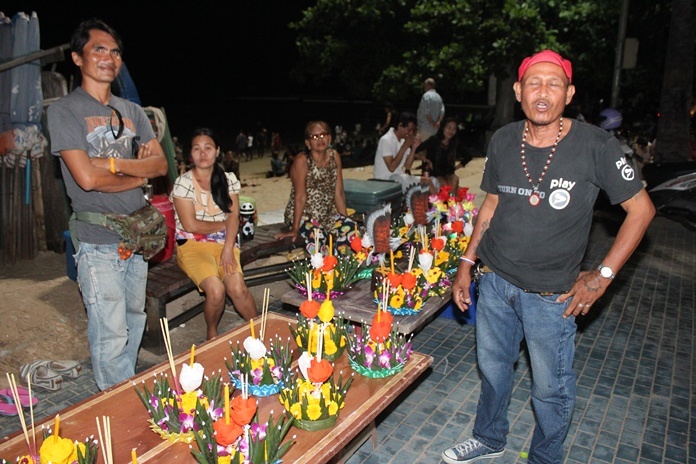 With everything from clothes to websites being converted to black and white for the royal mourning period, it was only fitting some krathongs, too, were produced in monochrome so people could pay tribute to the late monarch. 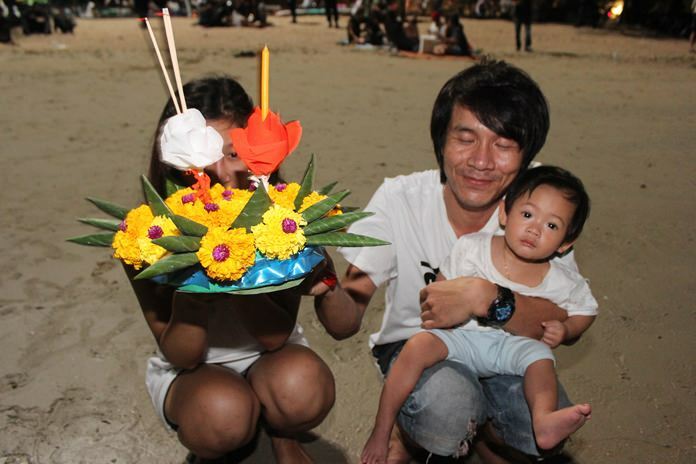 Families float their krathongs together along Pattaya Beach. 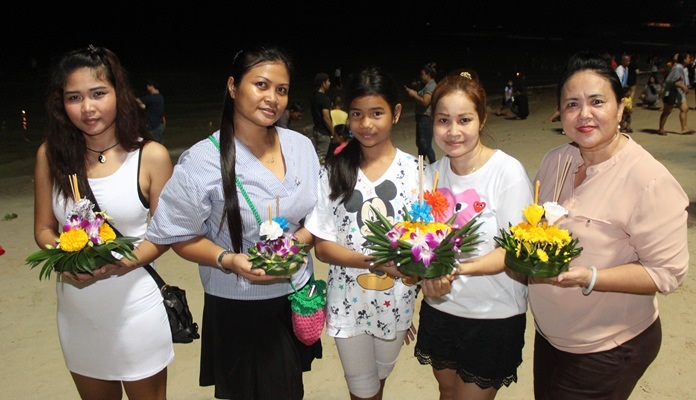 The Centara Grand Mirage Beach resort held a private Loy Krathong celebration. 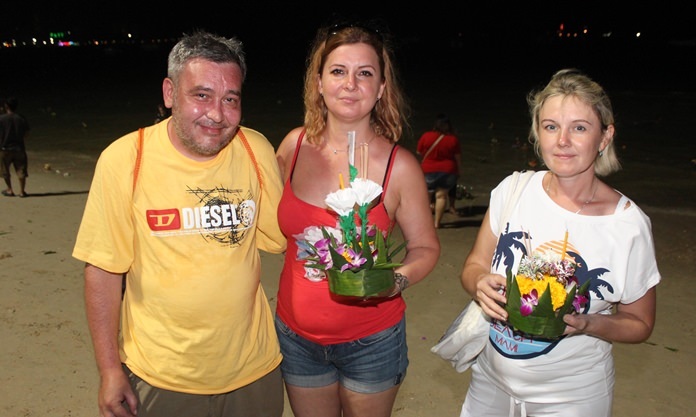 Pattaya Beach wasn’t as crowded as it has been in previous years, but it wasn’t empty, either. 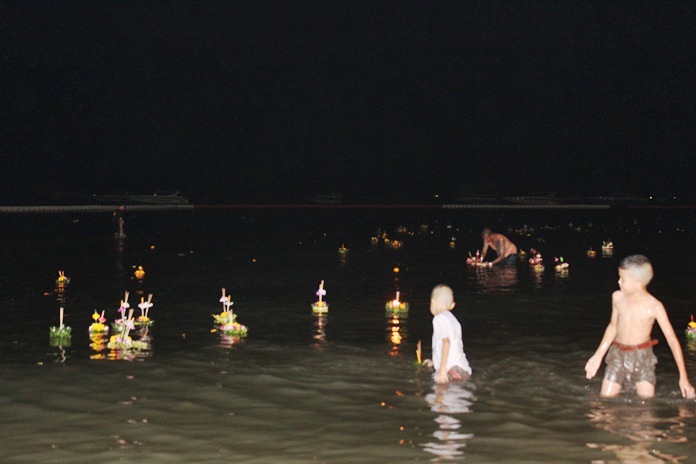 As is tradition, young boys swim out to collect the coins people put into their Krathongs. 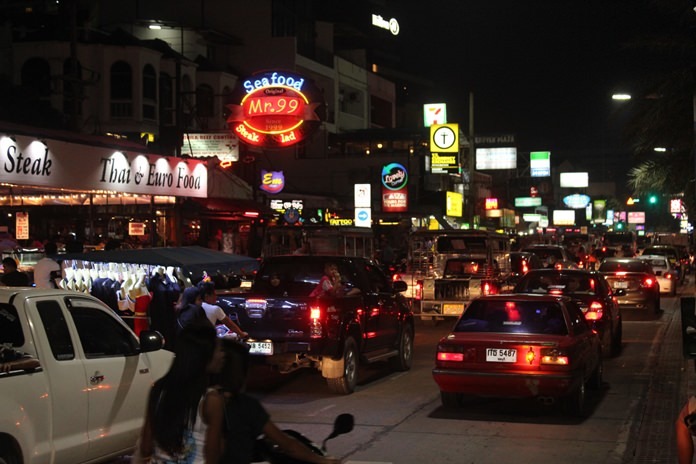 Traffic around town was backed up, although again, not as heavy as in previous years.